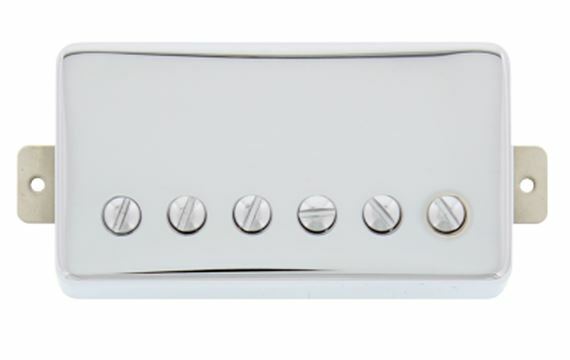 Order your TV Jones Starwood Humbucker Bridge Pickup from AMS and enjoy 0% Interest Payment Plans, Free Shipping, Free Extended Warranty & 45 Day Money Back Guarantee. Utlizing unique techniques, TV Jones introduces it's first PAF style Humbucker after years of requests. Utilizing proprietary alloys and lightly wound coils, this pickup is clear, articulate, and punchy. TV Jones finds it important to build musical pickups, rather that just building period-correct re-creations.